Professional: Practicing New Hampshire attorney, licensed by the Bars of New Hampshire and Massachusetts since 1986. Practice limited to representation of injured persons, with emphasis in the areas of social security, Workers' Compensation, Personal Injury and Medical Negligence. Former Registered Nurse from 1980 through 1986; specialty areas included acute care oncology, critical care and coronary care. Personal: Married, one daughter attending graduate school. 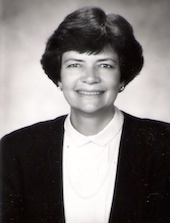 M. Jeanne Trott, Esq., P.L.L.C. 2008-present: Panelist: New Hampshire Superior Court Medical Negligence Tribunal Attorney panelist for three member panel reviewing pending superior court medical negligence actions. Sloan-Kettering Memorial Hospital, New York, NY. Berkshire Medical Center, Pittsfield, MA. delivered nursing care to critically-ill trauma patients.